Nick Shannon is a Managing Director with VMG Health in the Capital Asset Services Division. Mr. Shannon has extensive experience providing tangible asset valuation services and consulting for tax and financial reporting requirements including purchase price allocation and goodwill impairment, mergers and acquisitions, corporate conversions, fresh start accounting, and other purposes. Mr. Shannon has served clients across many different industries including healthcare and life sciences, consumer and industrial manufacturing, aerospace and defense, oil and gas, semiconductor manufacturing, and others. Healthcare clients served by Mr. Shannon have included valuation engagements for hospitals, physician practices, ambulatory surgery centers, catheterization laboratories, and imaging centers. In addition, Mr. Shannon has performed valuation engagements for life sciences clients including pharmaceutical companies, manufacturers of certified reference standards and materials, and biomanufacturing testing companies. Prior to joining VMG Health, Mr. Shannon was a manager for Deloitte Financial Advisory Services in the Engineering, Construction and Consulting Group responsible for managing and performing tangible asset valuation engagements and collaborating on domestic and international projects across various audit, tax, consulting, and valuation service lines. 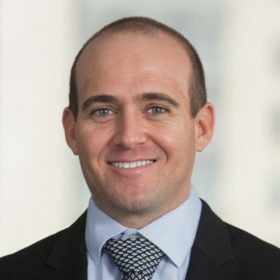 Prior to joining Deloitte, Mr. Shannon was an associate for American Appraisal in the Industrial Valuation Group responsible for performing tangible asset valuation engagements for the energy and chemical industries in support of financial reporting and property tax purposes. Mr. Shannon graduated with a Bachelor of Science in Industrial Distribution from the college of engineering at Texas A&M University. Mr. Shannon is an Accredited Senior Appraiser (ASA) with the American Society of Appraisers.